How can we queerly theorise and understand television? How can the realms of television studies and queer theory be brought together, in a manner beneficial and productive for both? Queer TV: Theories, Histories, Politics is the first book to explore television in all its scope and complexity – its industry, production, texts, audiences, pleasures and politics – in relation to queerness. With contributions from distinguished authors working in film/television studies and the study of gender/sexuality, it offers a unique contribution to both disciplines. An introductory chapter by the editors charts the key debates and issues addressed within the book, followed by three sections, each central to an understanding of the relationships between queerness and television: 'theories and approaches', histories and genres', and 'television itself'. 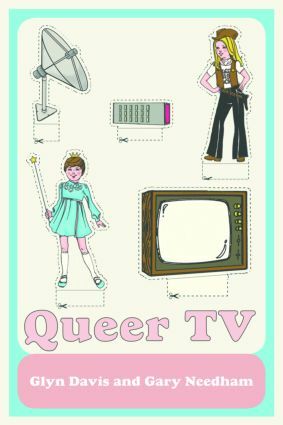 Individual essays examine the relationships between queers, queerness, and television across the multiple sites of production, consumption, reception, interpretation and theorisation, as well as the textual and aesthetic dimensions of television and the televisual. The book crucially moves beyond lesbian and gay textual analyses of specific TV shows that have often focussed on evaluations of positive/negative representations and identities. Rather, the essays in Queer TV theorise not just the queerness in/on television (the production personnel, the representations it offers) but also the queerness of television as a distinct medium. Guy love: A queer straight masculinity for a post-closet era?